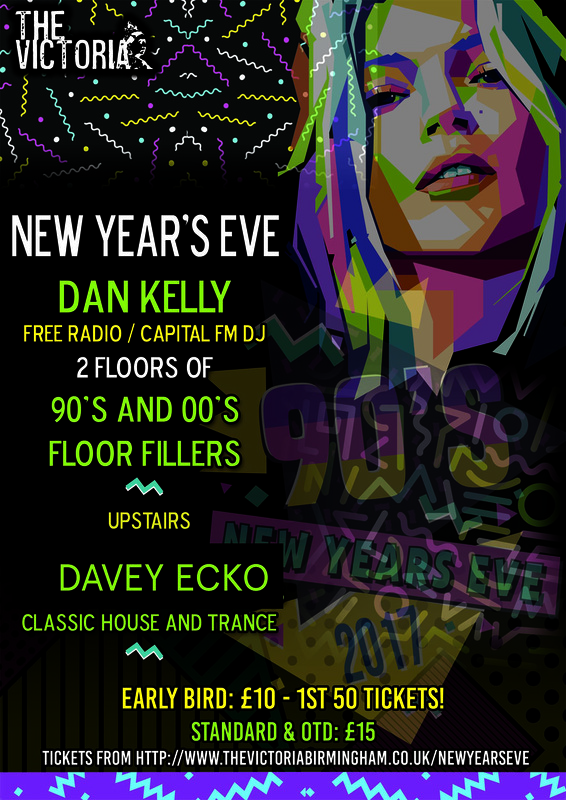 At The Victoria, it’s all about the best tunes of the 90’s with DJ Dan Kelly from Free Radio & Capital FM, playing downstairs at the main bar. Upstairs, it’s all about classic house & trance with Davey Ecko. 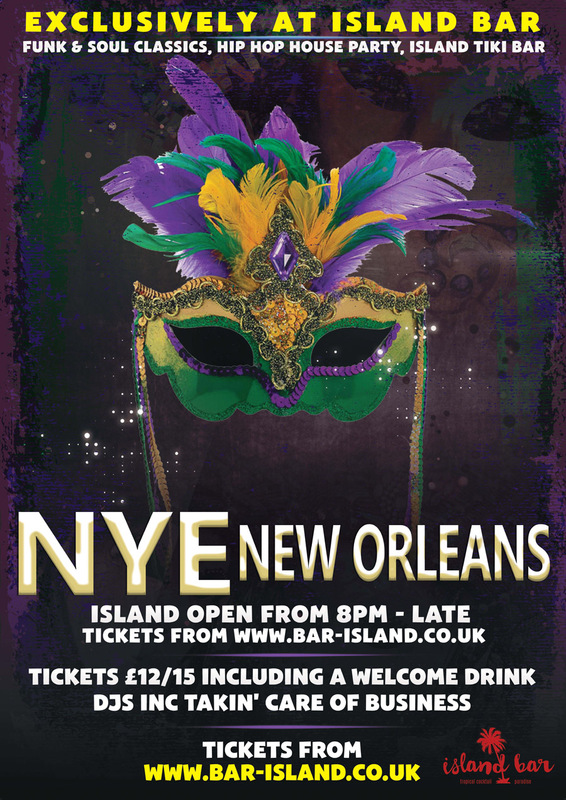 Join Island Bar on 31st December as the spirit of New Orleans takes over as they throw a Mardi Gras party transforming Suffolk street into Bourbon street for one night only! Join Birmingham’s Original gin destination to say cheerio to 2017 and good morning to 2018! Upstairs in the Gin Parlour, guests can enjoy a gin, cheese and charcuterie experience with Anderson & Hill, for £40 per head. Places are limited. 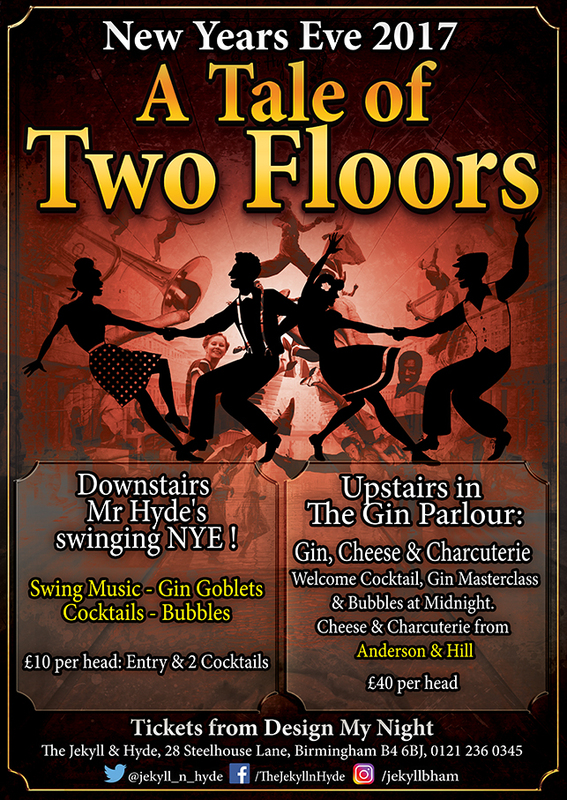 Downstairs, it’s Mr Hyde’s Swinging New Year’s Eve! They will be winding up the gramophone for one more Jekyll knees-up of 2017! Tickets are £10 per head, including entry and 2 cocktails. 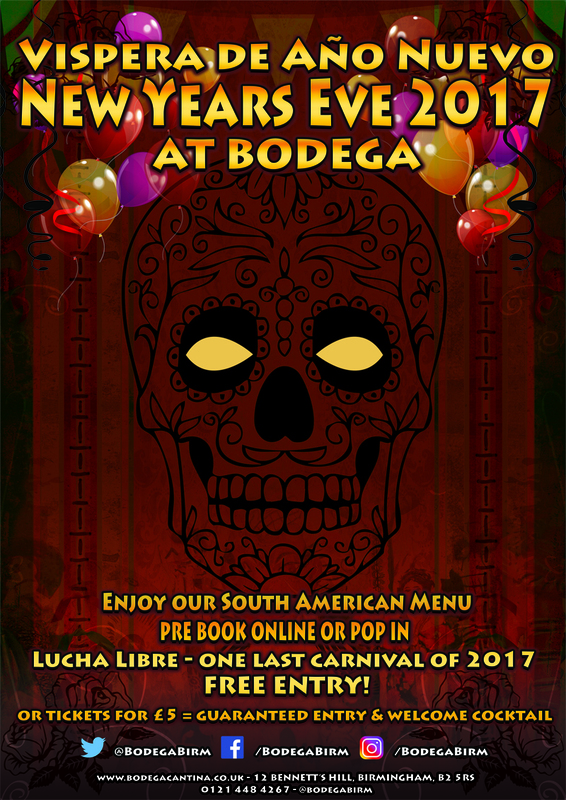 Join Bodega Cantina for one last tequila before 2018! Guests can pre-book a table and enjoy authentic South American food and drinks from 5-11pm. Fancy a dance? Their sugarloaf will be open from 8pm with all the music from salsa to modern tunes. Entry is free but guests can buy tickets for £5 to guarantee entry and a welcome cocktail. 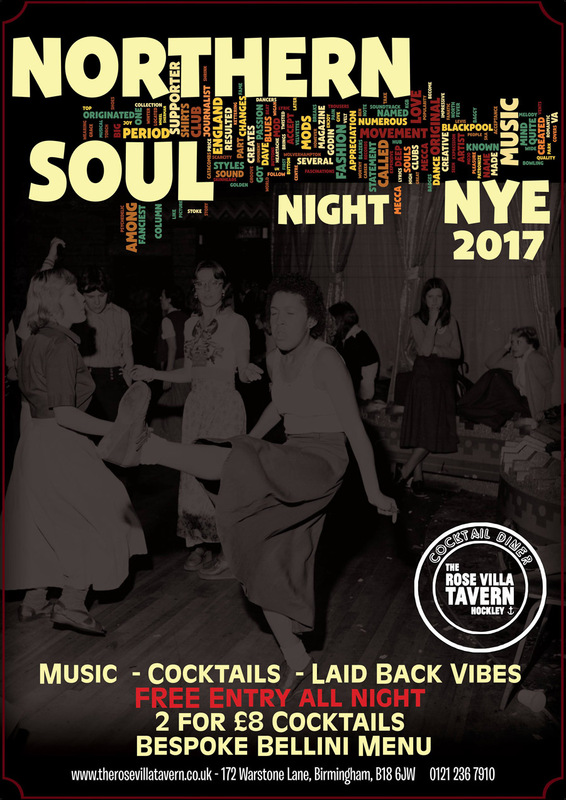 This December 31st, The Rose Villa Tavern will have the doors open to one and all to enjoy Northern Soul style party, with great music, lovely staff and even better drinks! 2 for £8 on selected cocktails and bespoke Bellini menu to add a touch of fizz to the end of 2018. No tickets, no fuss! Table / area bookings being taken – Open during New Year’s Day. 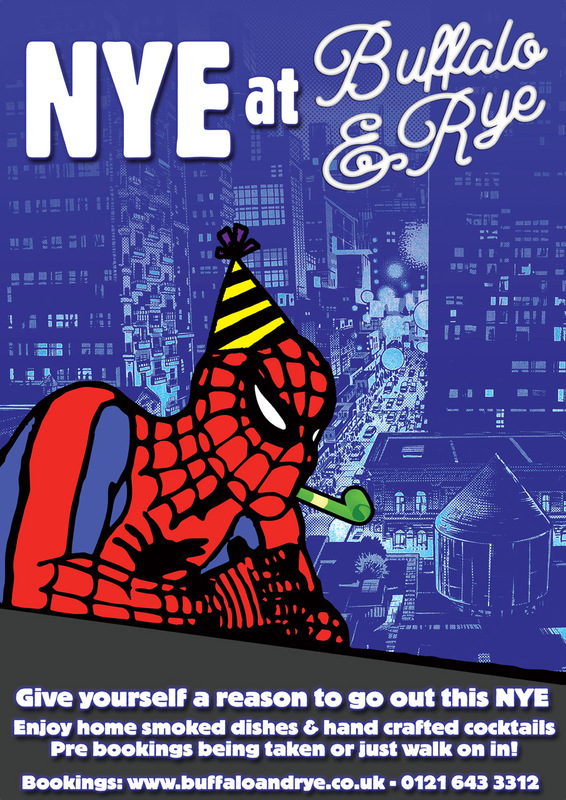 The best way to celebrate 2018? In Buffalo & Rye’s cosy speakeasy!  No stress, no fuss but great tasting home smoked dinners, handcrafted cocktails and of course, Bourbon! Guests can pop in or pre-book to ensure table. Want to dance until early 2018? Guests can head next door to their sister venue Bodega!